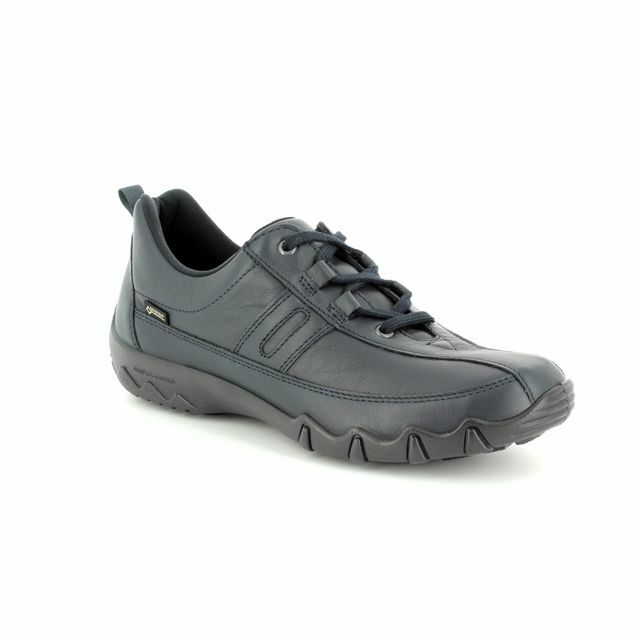 Hotter bring us 7208/50 TONE E FIT. 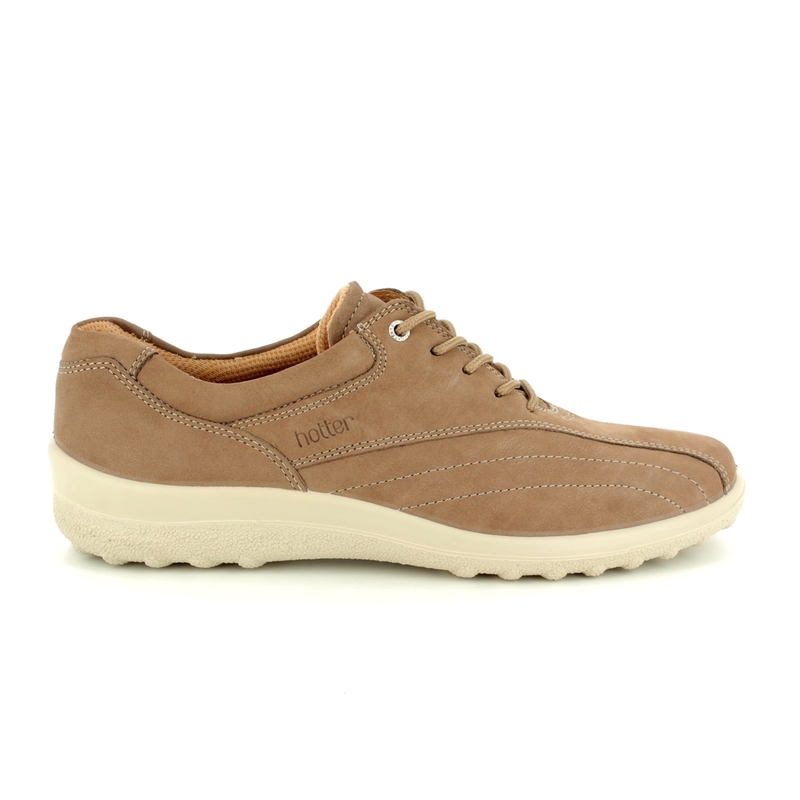 These ladies comfort lacing shoes are a real wardrobe essential. 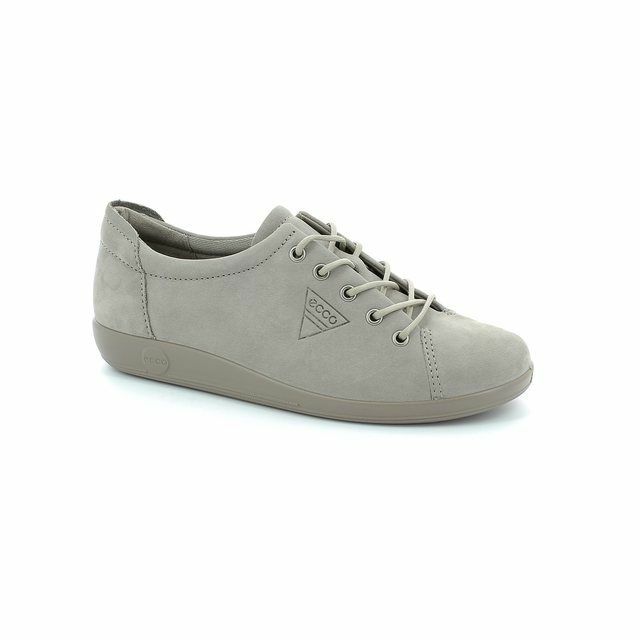 The taupe nubuck uppers ensure they will go with everything while the classic styling offers an elegant take on a sports inspired look. 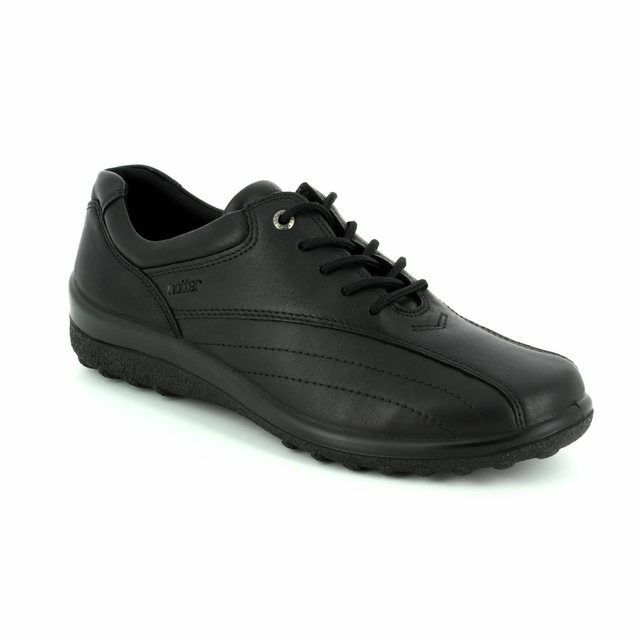 Hotter have used a lightweight and flexible polyurethane sole unit with a 2.3cm approx. elevation. 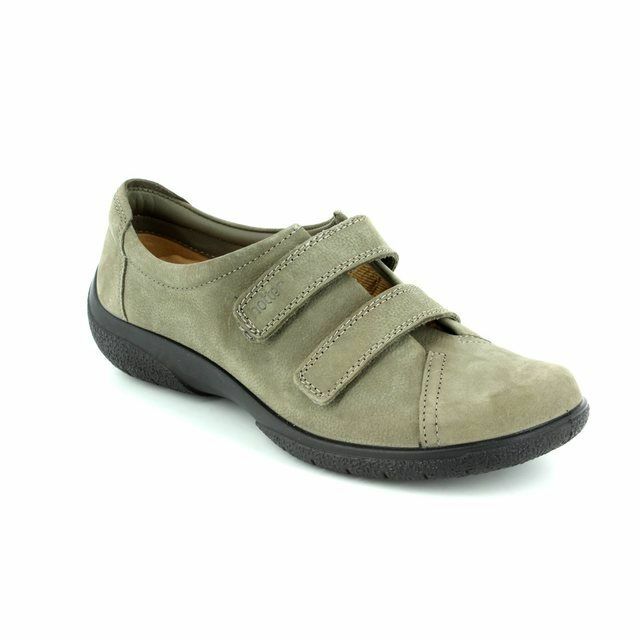 These shoes feature a lace fastening for a secure and adjustable fit. 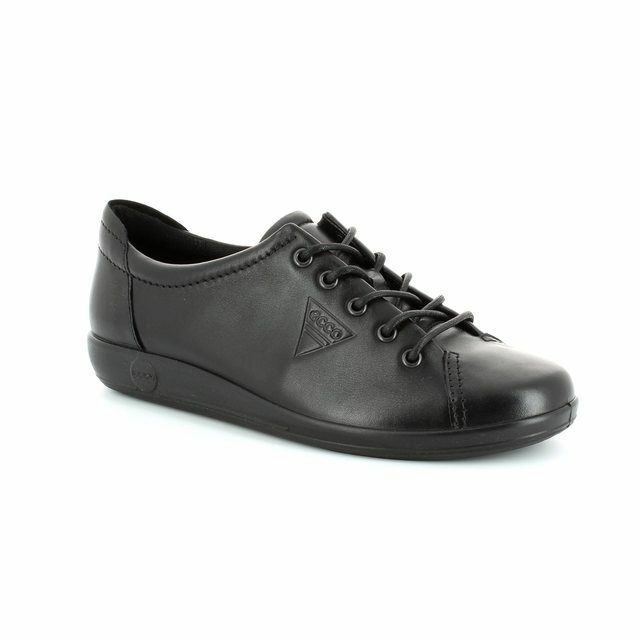 The padded leather insole is removable allowing these shoes to be used with orthotics. 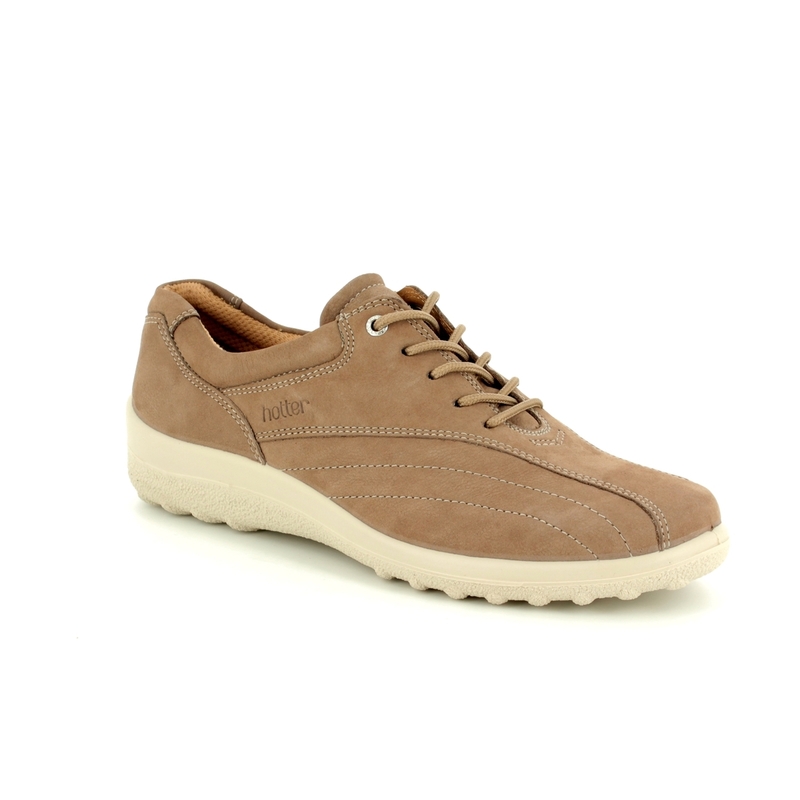 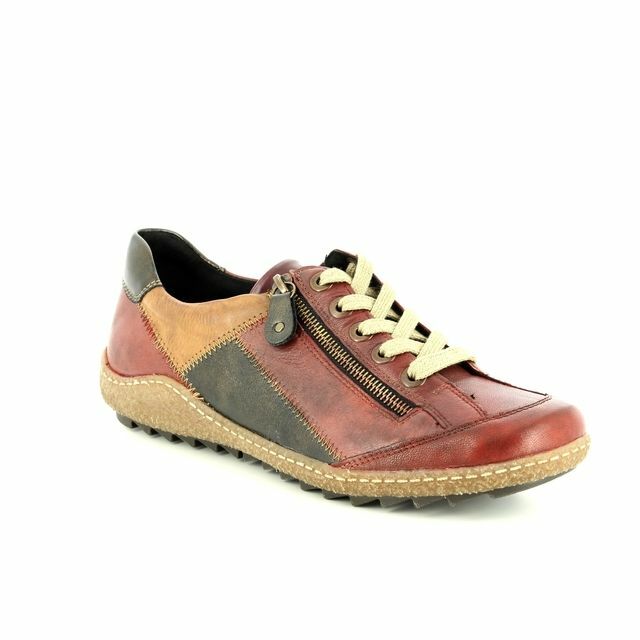 A deep toe box and padded ankle collar work with the textile lining to create the ultimate in comfort. 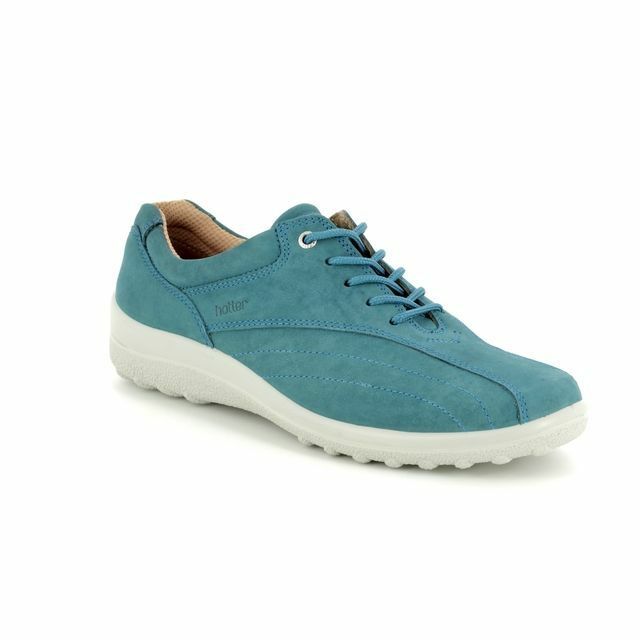 These ladies shoes are an 'E fit' which is Hotter's standard width. 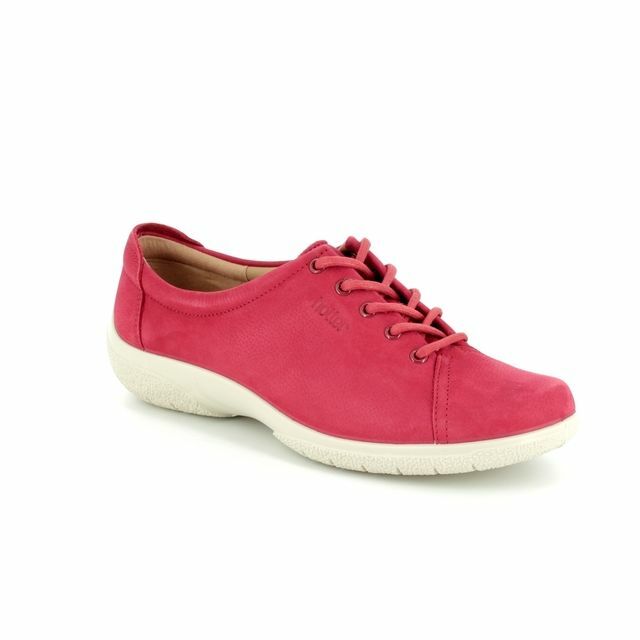 Also available in off-white or blue, these ladies lacing shoes are a wardrobe essential. 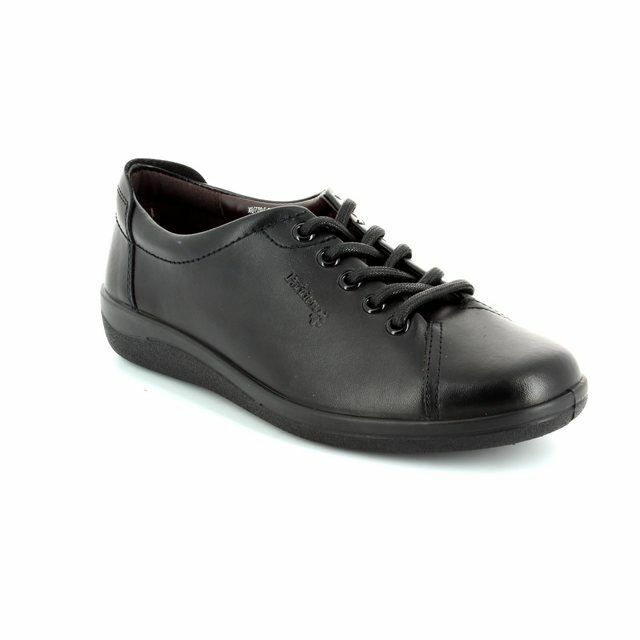 Buy your Hotter ladies lacing shoes from Begg Shoes, an official Hotter stockist.